I need to build a radius stair landing per the attached drawing. It will be stained maple finish. Is plywood with a solid wood nose OK? I'm concerned about the durability of the plywood veneer. If solid wood, what's the best layout structurally and asthetically? 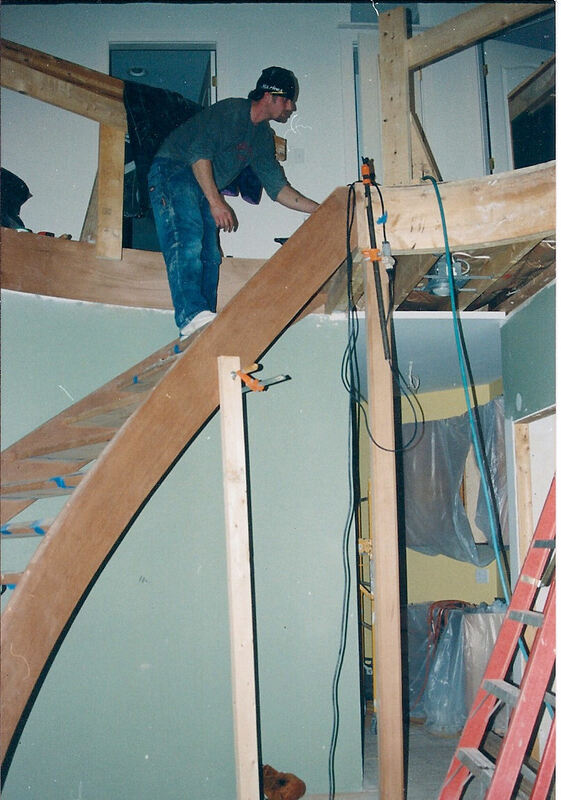 considering the cost of, hardwood we use plies of SPF (spruce/pine/fir) and face it with one laminate of hardwood typically 1/4" depending on radius of the curved beam/fascia. With a landing like this I would typically kerf the back side of a pc of soft Maple to make the radius. No veneers necessary. From the OP ... I'm asking about what would be the tread, not the riser. I'm wondering about how to best make the horizontal center section. The best tread would be the widest pc of stock you could find resawn and laid up in matching fashion. Then glue up around a form matching the radius. If done properly the glue joint will be almost invisible. If this is not possible edge glue and cut radius accordingly. Treat the landing like any hardwood floor. It's way to deep for any kind of single piece material except plywood which, as has already been stated, is not acceptable as a flooring material. 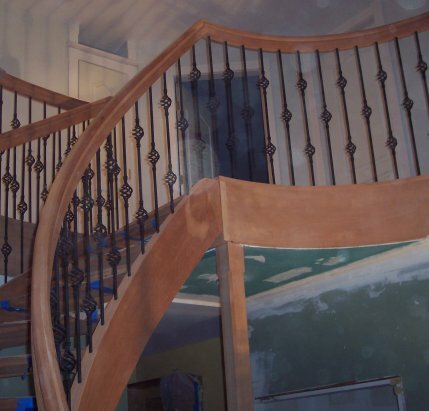 Then use the curved hardwood nosing as you suggested. That can be done either segmented or laminated construction. I prefer landing platforms edge-glued from solid wood and from the same stock as the treads. The platforms are then installed just like the treads, with a nosing across end-grain. A wide/belt drum sander makes this not only possible, but easy. This my sound like a lot of work and a frightful use of materials, but why would the landing platforms be any different than the treads? In truth it’s a lot less hassle than engineering custom floor panels with a glued-on edge nosing or hardwood flooring inset to solid thresholds etc. On the other hand, if you’re already using engineered treads from the big box store, then you should be justified in doing the same for landing platforms (just edge-glue the manufactured treads together). This however, is considered another class of workmanship and inferior. Mark, Sorry I misunderstood the topic of discussion - I agree with Jim on this. Edge glued solid stock is our method for both landing platform covers and/or landing treads. 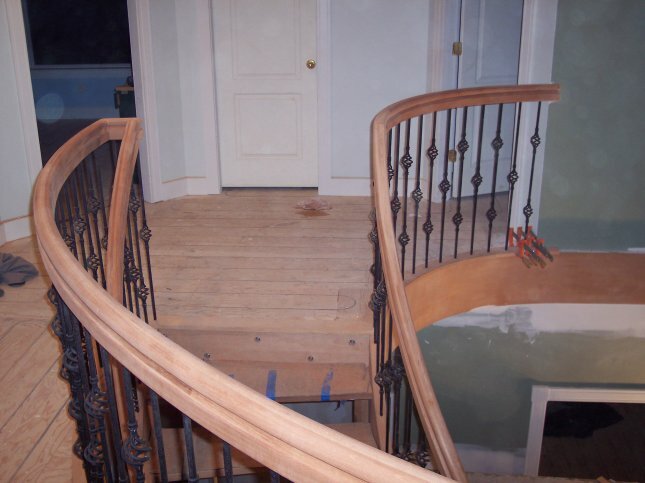 Be sure to treat the ends of the grain and seal all sides of the landing/tread to stabilize the material.